This is only the fourth wedding cake I've made in my life and the biggest cake project I've ever made! The whole project was a family affair team effort. The topper was brought over from America, by my other son and is a gift for his big brother from him and my daughter-in-law. 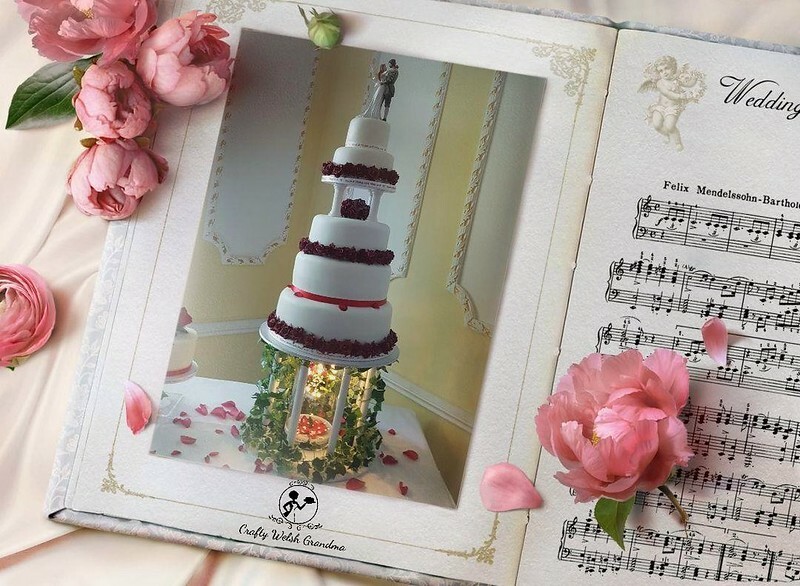 It has five tiers - 12 inches, 10 inches, 8 inches, 6 inches and 4 inches. 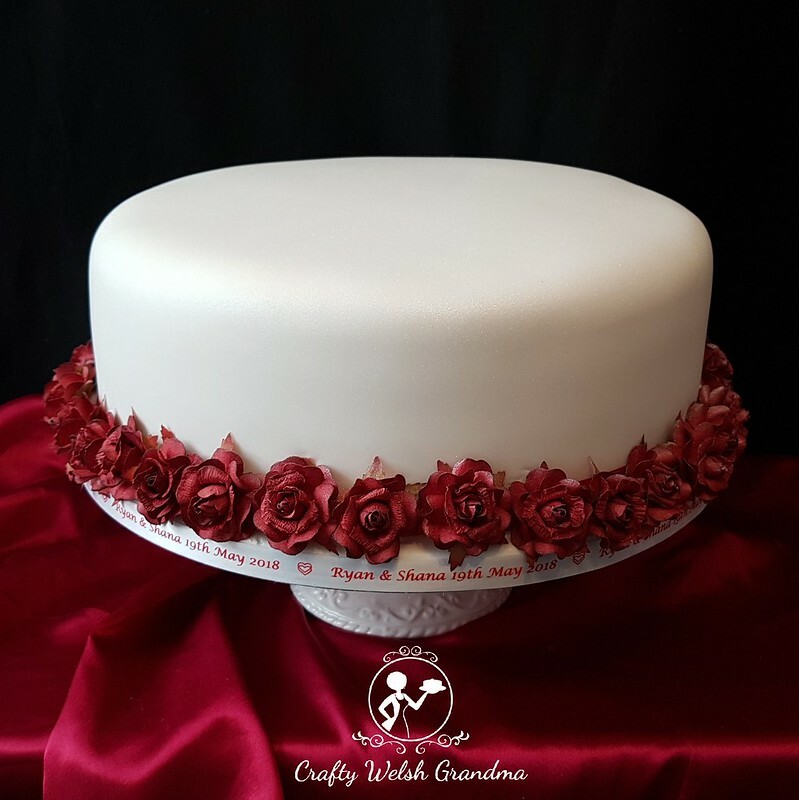 The bottom three tiers are made from Red Velvet sponge (tier one and three) and classic vanilla sponge sandwiched in between (tier two). 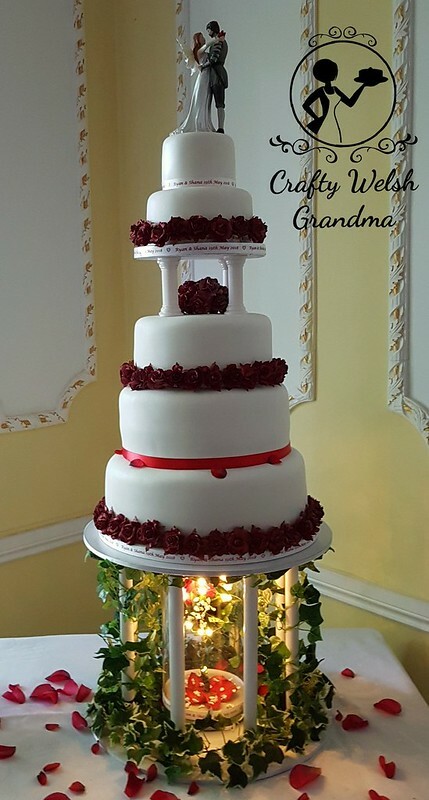 The top two tiers are dummy cakes because of the weightiness of them on the sponges below. 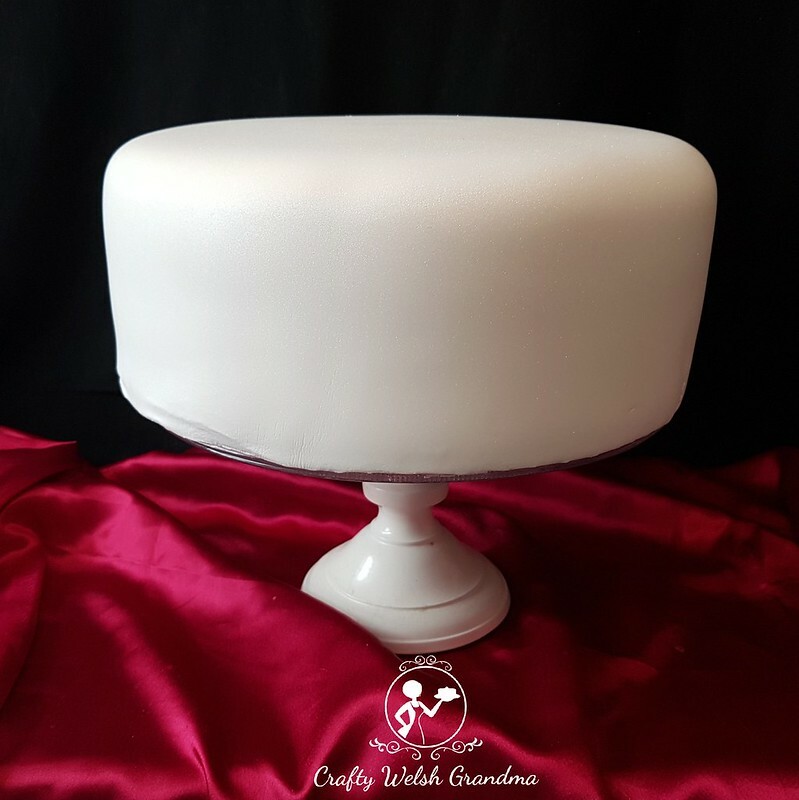 The monumental cake stand was handcrafted, by my daughter's boyfriend, to fit over the handcrafted rose dome, which was a specially commissioned gift for my son and daughter-in-law from my sister and her family. Then there's the personalised ribbon, commissioned from The Radiant Ribbon Co, via their eBay shop. The handfasting ribbon lei, made by me. The rose posy cake toppers, for two of the smaller cakes, made by my sister, the groom's aunt. 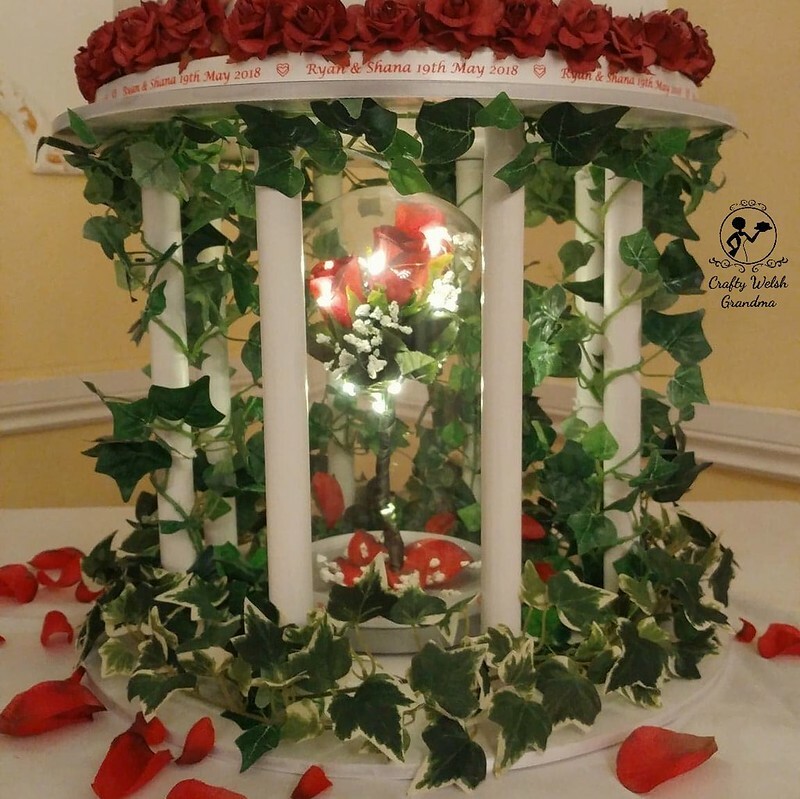 The small glass rose dome topper, on the third smaller cake, the dome purchased by the groom and the rose decoration inside also made by my sister. She usually doesn't like public credit, but today, she's getting some! And then! And absolutely then! 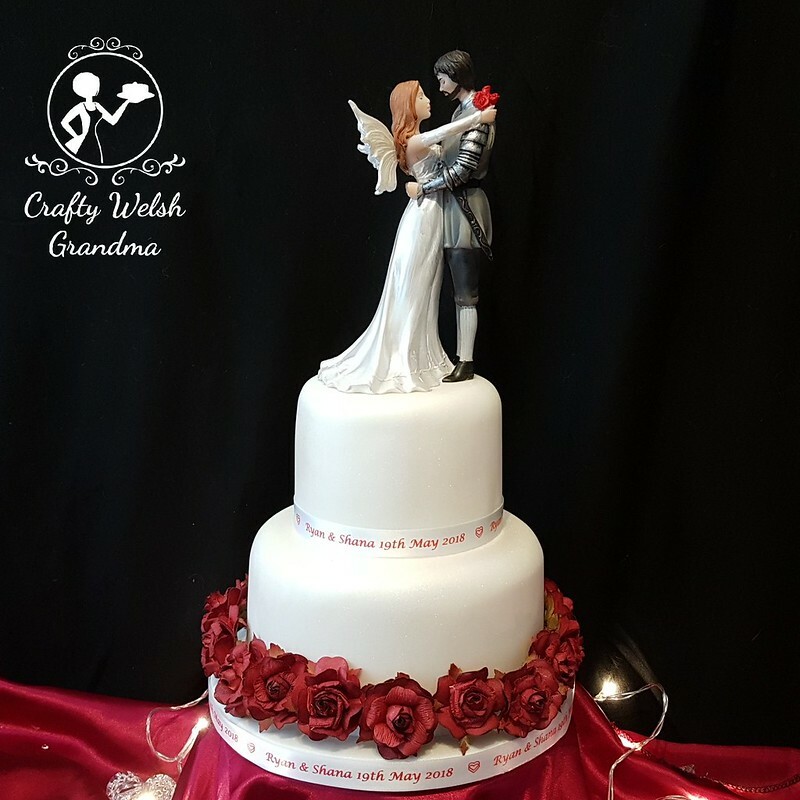 The whole project was transported from the Welsh Valleys, all the way to Suffolk for the wedding! My daughter-in-law, for helping me put all this together at the venue the night before. We had already spent almost seven hours traveling, due to traffic etc, but I'm glad we did ... We were there until about midnight. My significant other, for driving us all there with care, and getting this stuff there without incident. For the rest of this blog entry, what I'm going to do is, show the completed piece (above) followed by the separate pieces, layer by layer. If you'd like to see the individual blog entries for each tier, click the link below each image further down the page, and for all the individual projects, click the big red button at the bottom of this entry. 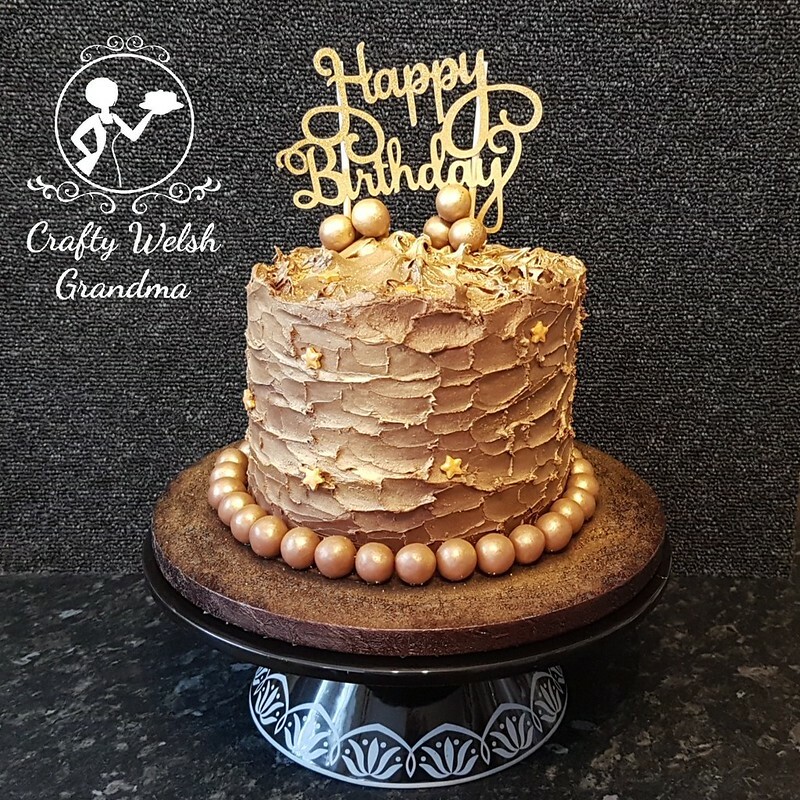 I might be a Crafty Welsh Grandma on this blog, but after this, I'm definitely a Proud Welsh Mam! 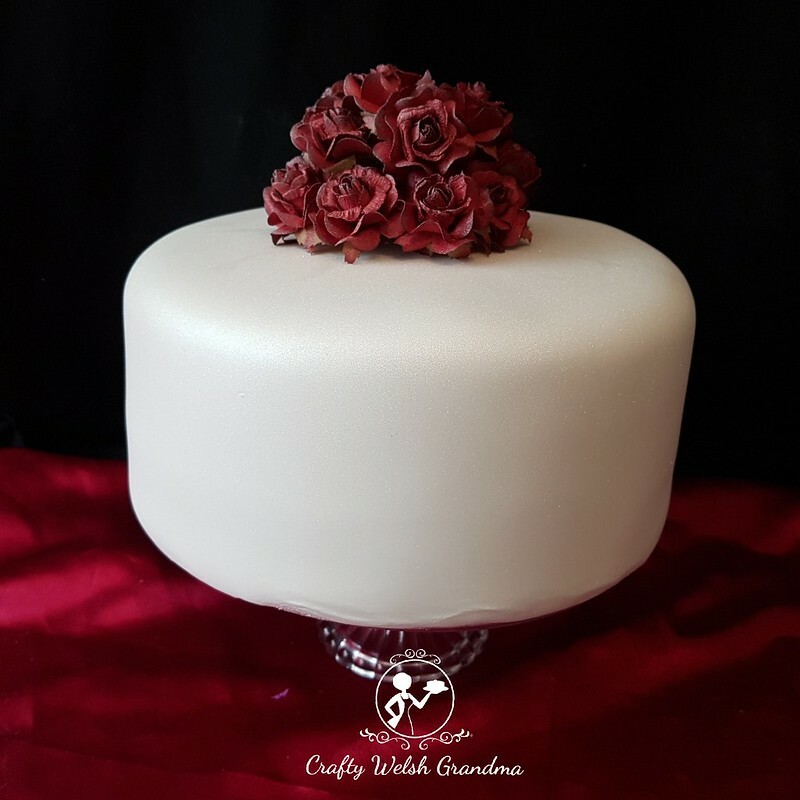 Having gone through two taster sessions, one session using cupcakes for taste only, and the second session to trial different frostings and how the cake would taste after it had been frozen, prior to the final fondant coat, I think we cracked it.